The Sole E95 cross trainer is supplied with a user friendly console offering feedback on the most important workout statistics such as time, speed, distance, resistance, incline, laps, calories, programme and pulse. The programmes include 1 manual, 5 pre-set including cardio, strength, hill, fat burn and interval training, 2 user programmes and 2 heart rate control, whereas the heart rate can be measured through the hand pulse grips or a wireless receiver with an included Sole Fitness chest strap. The E95 features a cooling fan and oversized comfortable footplates with a natural 2-degree inward slope and unique turn knob adjustment for 10 different foot pedal adjustments. The incline and resistance controls are integrated into the “D-shaped” multi-functional handlebars for added comfort. This is an expensive machine, but you do get quality. This sole trainer was bought as a replacement to an old and not very good cross trainer. I hated the old one because it was jerky, manual resistance, and felt like a home quality machine. The Sole E95 is just the opposite. As smooth and strong as any I've used in a 'professional' gym, and silent too. Everything about it screams quality. I was also worried about not having enough levels, but the resistance is plenty for me when I'm only half way up the available levels, so I have no doubt that even in many months to come with even better fitness there will be plenty left. As a bonus it came with a heart rate monitor so you can choose either the ones built in on the handles or the strap. Not so good: yes the fan is useless, but I didn't decide on the E95 based on accessories. Its a gimmick, and therefore of little consequence to me. It was also quite complex to assemble. I debated buying cheaper, but I have no regrets about spending the extra to buy the E95. My partner and I both use the cross trainer everyday for a 45 minute workout. I usually put a series on the tv and the time flies by. Much easier than going to the gym and the cross trainer itself provides you with a nice workout without putting too much stress on the joints and the action is lovely and smooth. No problems putting it together as it has nice, clear instructions. Great cross trainer, I use it nearly everyday and its helping me to get fitter. I especially like the variety of different programmes and the fact it has an incline feature and a smooth motion. Contrary to other reviews on here I found this really easy to install. THis is a really good cross trainer. I've been using it a few times a week to help me lose a few lbs which is working! I enjoy the feeling of using it as it's really similar to that of a gym machine. Only reason I'm not giving it 5 stars is because I personally found it quite tricky to put together. Took me 2 hours to do so but it was expected if I'm honest. In hindsight I'd recommend going for the optional installation service. I bought this cross trainer as I needed one that would be durable enough for the heavy use it would see in our house. Couldn't be happier with my choice. It's big, it's smooth, it's sturdy and it's quiet. A real piece of quality engineering. Top marks. I have now been using this cross trainer for 3 months and I have never felt better. My fitness levels have increased noticeably since my first few goes back in September and I've lost a good few lbs off the belly. My workout regime consists of 30 minutes every morning and evening 5/6 times a week and I feel this machine is not even breaking a sweat (unlike myself). Will definitely look at getting a treadmill next as I'm really impressed with the build. We wanted a cross trainer good enough for our home gym to fit in with the other equipment we bought so went with the E95. Very pleased with it. 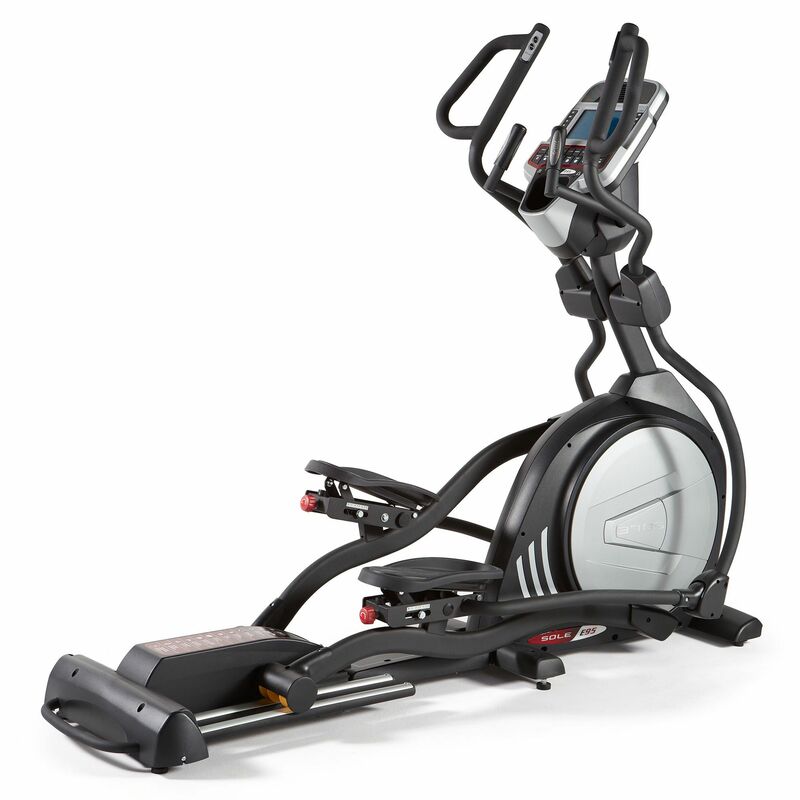 It has everything we were looking for...large stride length, heavy flywheel, smooth motion and lots modes including a great incline and cardio program. I'd say this is almost as good as the ones in my local gym which cost many times more. Bought the machine back in August and have been using it regularly 2-3 times a week since then. Have to say that we're really pleased with this purchase. The build quality of this cross trainer is absolutely excellent. I'd say it's pretty much a gym quality machine and feels just as good as the machines in the gym. Only the incline function doesn't feel quite the same as the gym machines but it does still make you workout and it's not something to take away a star for. 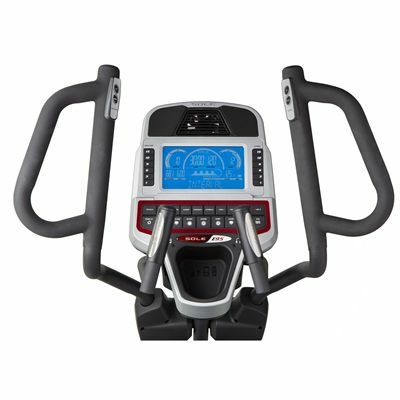 Compared to the other cross trainers we looked and and tried before choosing this one, this is just stands out a mile ahead of the rest. Overall would have to give this five stars all the way. for submitting product review about Sole E95 Elliptical Cross Trainer.